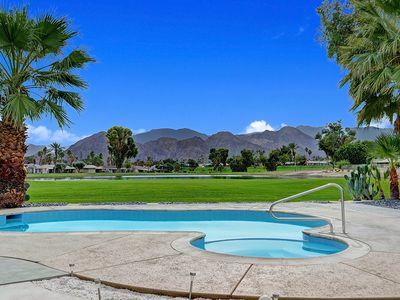 Modern, very private Palm Desert condo...walk to El Paseo restaurants and shops! 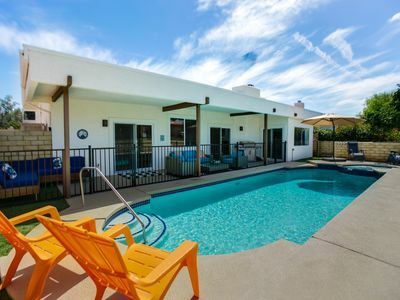 A contemporary, beautifully decorated and very well equipped 2 bedroom, 2 bath condo close to mountain hiking trails and a block away from all that El Paseo has to offer. 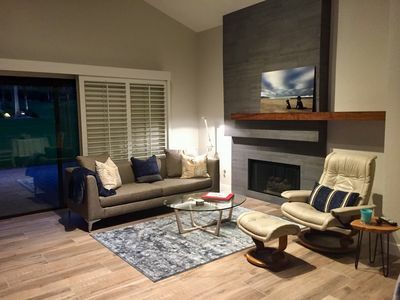 The end unit condo offers 1470 sqft of living space on one level. 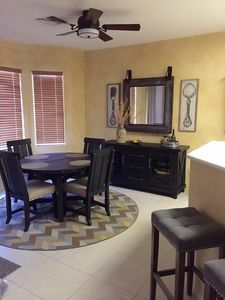 There is an open concept kitchen, dining, living area with ample seating for dining, relaxing and entertaining. 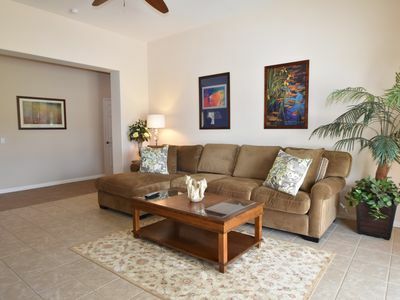 The master bedroom is huge and has an ensuite bathroom as well as substantial closet space. Down the hall a second very large bedroom with a main bath next door. Across from the main bath is the in suite laundry. 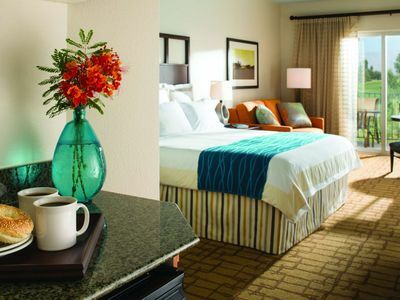 Both bedrooms feature king beds with high end mattresses and luxury bedding with duvets. 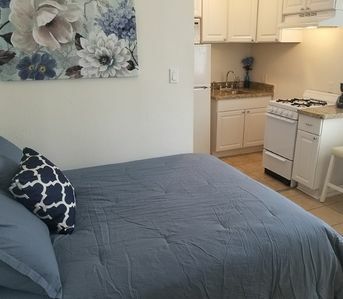 The kitchen is fully equipped with cooktop, double ovens, microwave, dishwasher and large frig/freezer. Ample utensils, cookware, cutlery and tableware make for great dining possibilities. 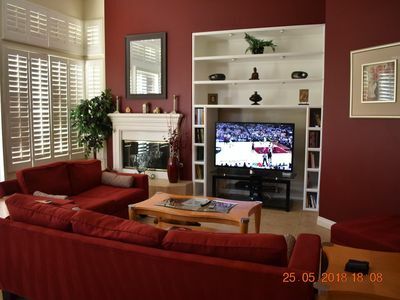 There is a large flat screen TV in the living room with cable, the condo is also equipped with internet and a land line with free long distance to USA and Canada. 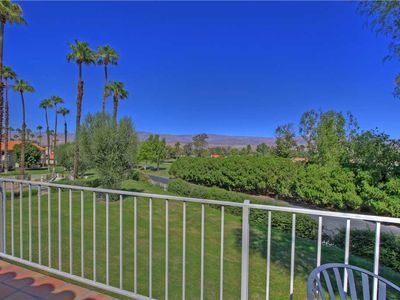 The living/dining overlook the beautiful inner quadrangle and Santa Rosa mountains through a full picture wall of sliding glass doors. 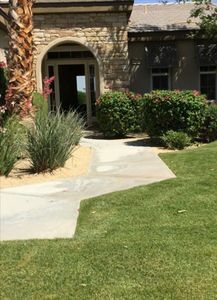 Outside there are two separate and private patios, one south facing off the living room with comfy outdoor dining for 6 and propane grill, the other off the front entrance and more protected from the sun when the weather heats up. 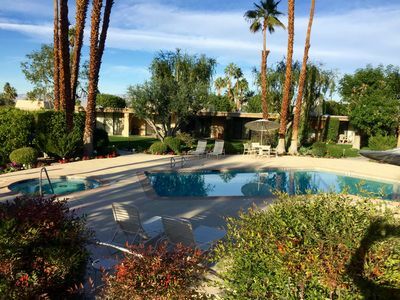 A few steps off the back patio leads you to a spectacular pool and spa area surrounded by palms, lush vegetation and flowers. 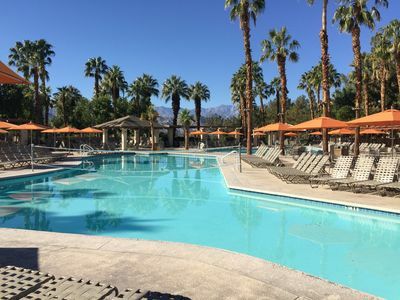 The spa is heated year round with the pool being heated through two weeks over the Thanksgiving holiday and then February through to May. 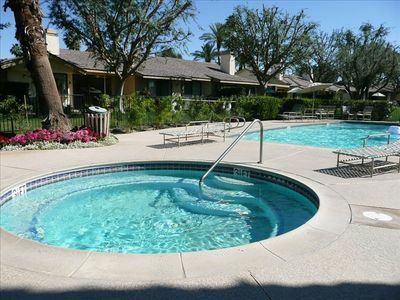 There is dedicated surface parking for visitors steps away from the condo. 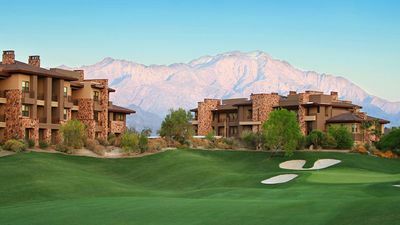 Now that you’re here and comfortable you can take in all that south Palm Desert and the Coachella Valley have to offer. 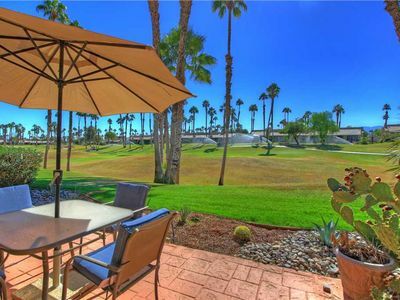 Within a 10 minute walk scores of shops and great restaurants on renowned El Paseo. 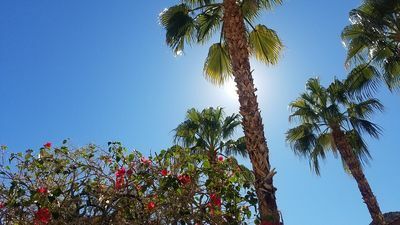 Within a 10 minute drive, The Living Desert, Palm Desert Art Museum, Whole Foods, Trader Joe’s and a myriad of other stores, The River, Santa Rosa National Monument Centre, McCallum Theatre to name but a few. 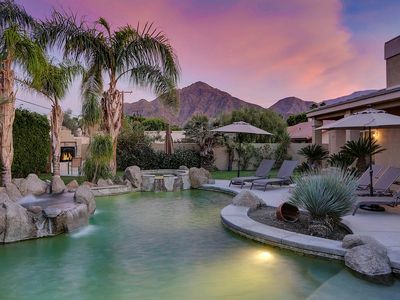 Relax in this tranquil setting adjacent to the world renown La Quinta Resort! 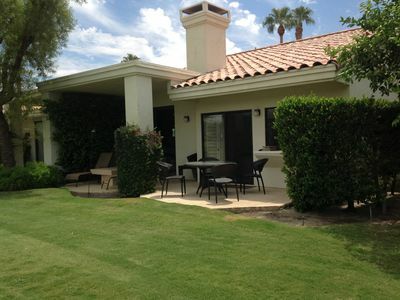 LUX Indian Wells property in the Vintage Club! !